During the discussion of the program of government Prime Minister Nikol Pashinyan commented on the negotiations over Artsakh. Pashinyan recalled that he had stated on May 9 he will negotiate on behalf of Armenia but cannot negotiate on behalf of Artsakh because he does not have the status of president or prime minister of Artsakh underlining that Armenia remains the guarantor of security of Artsakh. Full involvement of Artsakh is the primary issue in the process of negotiations, Pashinyan said. “The participation of Artsakh in the negotiations was one of the key points of our discussions. It is known from the past that the Azerbaijani side responds to proposals on the involvement of Artsakh that if the Armenian side involves Artsakh in the talks, the Azerbaijani side will involve the so-called Azerbaijani community of Karabakh. In fact, this stance needs serious clarifications. The problem is that the Azerbaijani community of Karabakh has always participated and continues to participate in the negotiations and there was no talk in which the so-called Azerbaijani community of Karabakh did not participate. 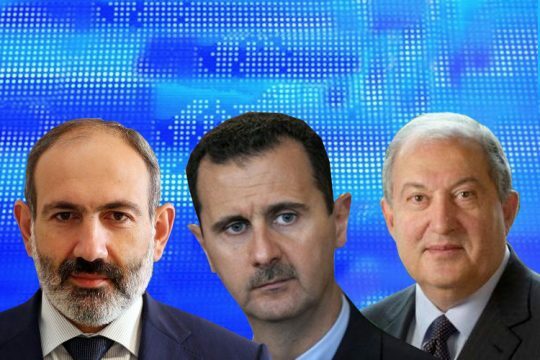 The reason is simple – the so-called Azerbaijani community of Karabakh runs in the presidential, parliamentary elections in Azerbaijan, are citizens of Azerbaijan and the president of Azerbaijan has been elected by the Azerbaijani community of Karabakh and the government and the president have the mandate to represent these people. The position of Azerbaijan that if the Armenian side insists on the full participation of Karabakh, Azerbaijan will insist on the Azerbaijani community, a few questions occur. Does this mean that the Azerbaijani government states it is not authorized to represent the Azerbaijani people, the state of Azerbaijan in the negotiations? If there are citizens in Azerbaijan whom the Azerbaijani leadership is not authorized to represent and it admits that it is not authorized to represent the Azerbaijani community of Karabakh, question is the Azerbaijani government authorized to represent the other parts of the public in Azerbaijan, the other ethnic minorities, certain regions or is there a need to check this authority.